The Plano International festival is gearing up for another fun-filled day of multicultural food, entertainment, and education on October 14 in downtown Plano’s Haggard Park with more of everything that makes the event unique – art, culture, food, music, dancing, wellness and fitness, kids’ activities, and more. Come read more about the Plano International festival and all the special events included this year. Come experience the world all in one day at the Plano International Festival! The Festival’s foreign film screening will expand to include musical entertainment and a panel discussion. This year’s film, Song of Lahore, is a soul-stirring documentary from Academy and Emmy Award-winning director Sharmeen Obaid-Chinoy and Andy Schocken. Song of Lahore chronicles the amazing journey of a group of classical Pakistani musicians who struggle to gain respect and recognition at home, in a country that no longer values its rich musical traditions, and finally receives it after playing jazz standards on traditional Pakistani instruments alongside Wynton Marsalis at Lincoln Center. The film is being shown in partnership with Indie Meme and the Plano Symphony Orchestra. This is the only portion of the Festival that requires a ticket, which can be purchased at planosymphony.org for $15 for adults, $10 for students. Proceeds will benefit the PSO Education Scholarship Program, funded through the Alice Hobbs Education and Outreach Fund. The film will be shown at 2:30 pm in the Courtyard Theater adjacent to Haggard Park. Prior to the film screening, the Festival will again feature their highly successful Fitness and Wellness Fair from 10:00 am to 1:00 pm in the Courtyard Theater. Sponsored by Texas Health Presbyterian Hospital of Plano, the fair will offer free flu shots for adults and flu mist for children as well as free screenings for blood pressure, body mass, bone density, vision, dental health, and more. Free massages, healthcare enrollment info, a Carter Blood Drive, and stress prevention tips are among the many useful and important educational offerings. The fair is being held in partnership with the Plano ISD Education Foundation. The Festival was conceived by the Plano City Council’s Multicultural Outreach Roundtable in 2005 to showcase and celebrate the many cultures represented by the people of Plano. It is designed to promote awareness of cultural diversity and facilitate communication between all cultural groups in the community. It also serves to advance Plano’s visibility and standing as an international city. The Plano International Festival is sponsored by the Plano International Festival Corporation, a 501(c)(3) non-profit organization. 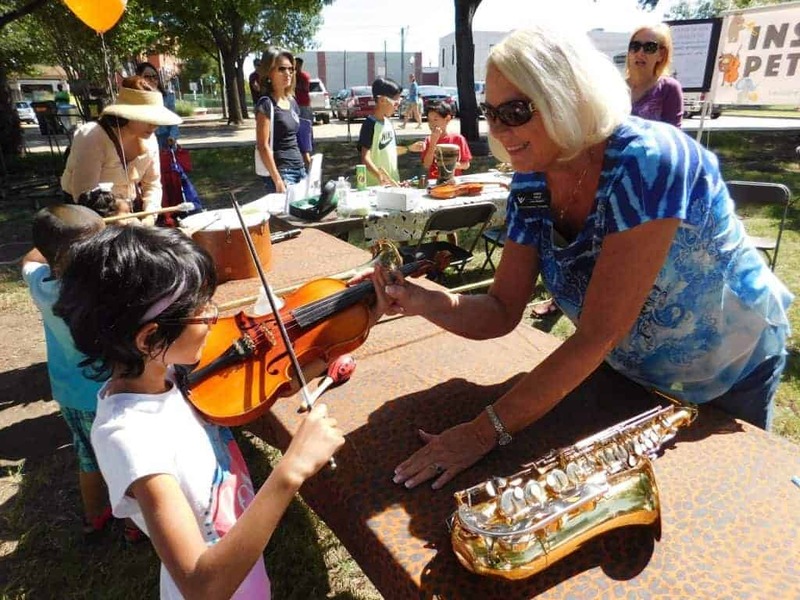 The festival’s variety of offerings for attendees and strong community partnerships has helped it win the Plano ISD Diversity Advisory Committee’s 2014 Community Diversity Leadership Award. And the Festival’s comprehensive Zero Waste program has helped the Festival win the City of Plano’s Environmental Star of Excellence Award four times. Come learn some culture and more about other countries and enjoy this family-friendly event in downtown Plano!